This is a hard to find ''GREAT ROOM'' floorplan. 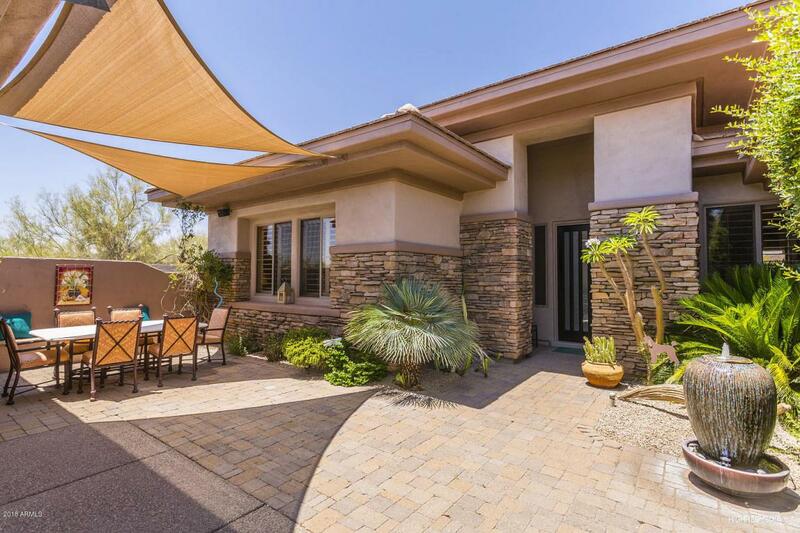 Come see this beautiful home & resort style living in the guard gated community of Bellasera. A charming front courtyard brings you to a great room floorplan w/custom finishes & paint throughout! Hardwood floors in large great rm w/stacked stone gas fireplace-granite dry bar w/2 wine fridges has bar seating to enjoy drinks & appetizers w/friends. Kitchen has Stonite countertops w/glass tiles backsplash- upgraded cabinets-SS appliances & breakfast bar as well as a breakfast area. An office has wood floors w/French Doors. The Master has carpet w/remodeled bath-granite countertop-stone floor-custom shower w/soaking tub.2nd Bedroom is ensuite w/carpet & plantation shutters. 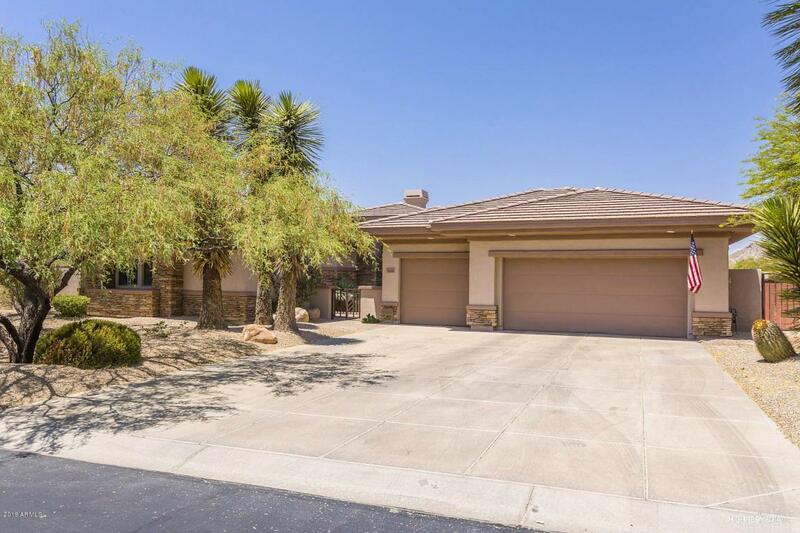 Enjoy the private backyard w/pool-firepit-blt-in barbecue-putting green.An extra LARGE laundry room w/cabinets-lots of counter space and storage - 3 car garage w/built-in cabinets and epoxy floors - surround sound inside & out. 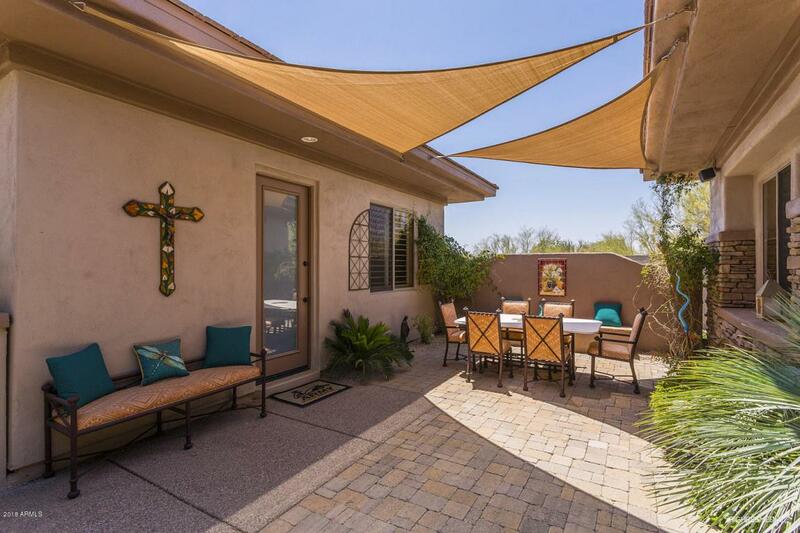 Guests staying in the casita can enjoy the front courtyard for patio dining w/banco seating. You will fall in love with this home - easy living in a custom feel home that has an open flowing floorplan that is great for entertaining! 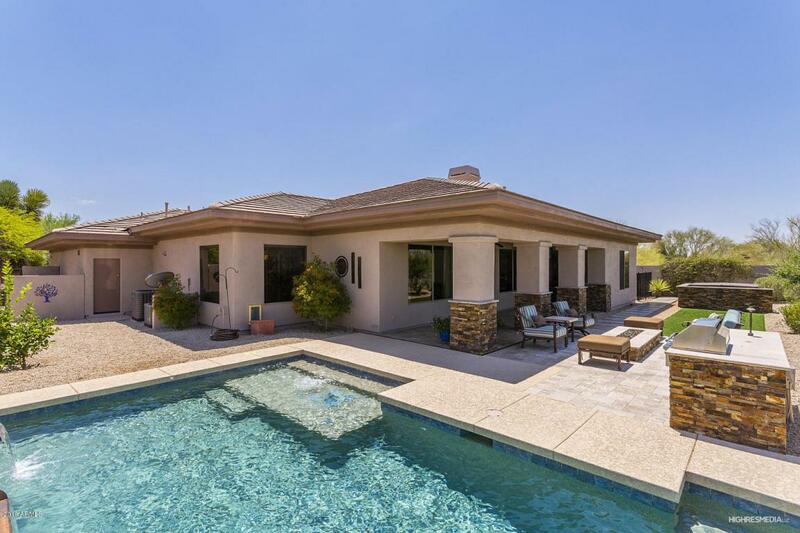 Listing courtesy of Exclusive Properties Of Arizona.